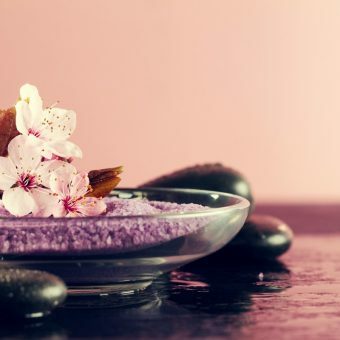 Discover a sensational journey of pure indulgence that will rejuvenate your body and relax your mind with our signature treatments especially designed to ensure your utmost comfort and enjoyment. Treat yourself to a therapeutic massage after a long day of meetings and enjoy the exotic blends of our oriental aroma therapies. Each of our holistic treatments will take you to a new level of peace and serenity in one of the 5 treatment rooms or unwind in separate relaxation areas for men and women, or visit our Sauna and Aroma Steam room where a celebration awaits your senses. 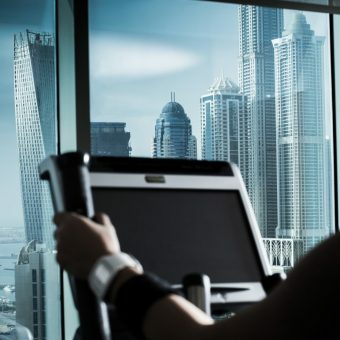 Located on the 34th floor, Fit & Spa Lounge invites you to enjoy your workout routine in our fully equipped, panoramic, state-of-the-art gymnasium, overlooking Sheikh Zayed Road and the Dubai Marina skyline. It features a wide selection of training and exercise machines, in addition to free weights. Complete your journey to wellness at Sauna and Aroma steam room. Looking for motivation? Just ask for our Wellness Trainer Elena! With over 10 years of experience in fitness and life coaching, Elena can bring change to your body & life style. Just ask for your Personal Trainer today! Located on the rooftop and open from 7 am to 8 pm, the temperature controlled outdoor swimming pool area is ideal for sunbathing all year round! Take an invigorating dip in the pool to beat the heat or simply chill by the poolside with a freshly prepared pool bar cocktail.